Due to Hank Greenberg's incredible first base prowess, Detroit was forced to move slugger Rudy York behind home plate and the power-hitting star did not disappoint, belting 277 round-trippers and knocking in over 1,100 runs in a stellar 13-year career. 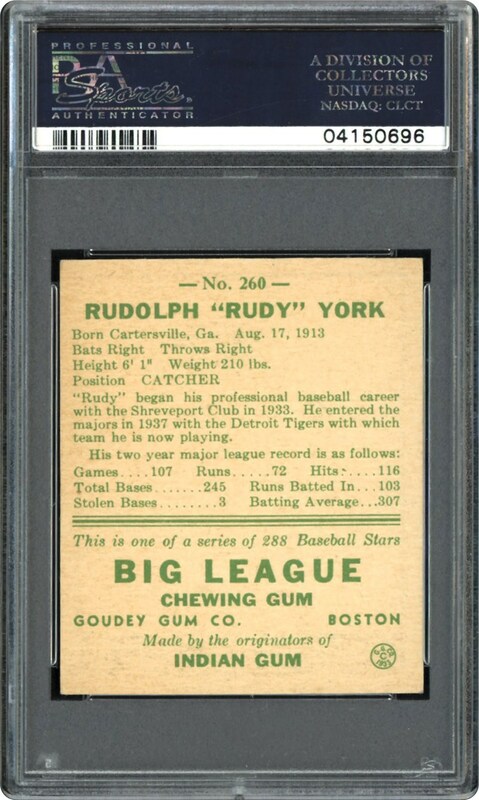 Still famous for his record-setting August 1937 month whereby he slugged 18 home runs to eclipse Babe Ruth's previous 17 single month homer record, York's spectacular 1938 Goudey PSA NM/MT 8 offering likewise portrays "record-setting" aesthetics. 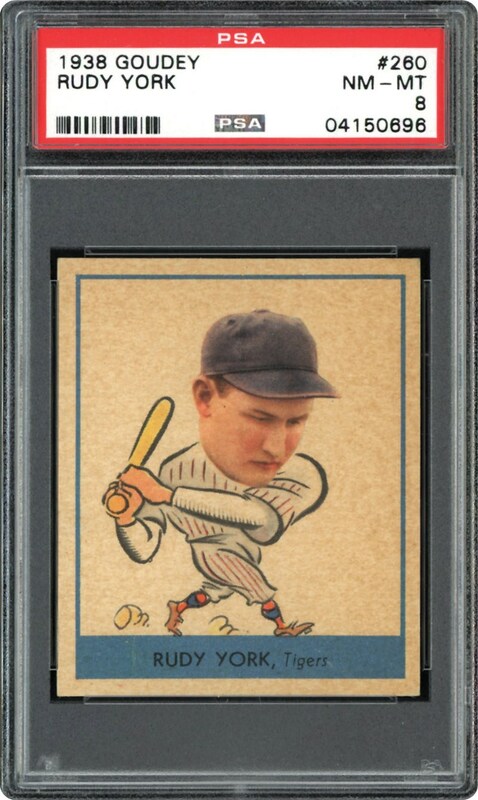 One of only six specimens at this lofty plateau, it has been bested by only a single example, truly residing as one of his finest 1938 Goudey subjects!